Dress up your wireless earbuds with these sleeves, tips, skins, and straps. We love our AirPods, and if the millions of sales are any indication, you love them, too. But they’re sort of…plain. Plain white case, plain white buds. Fortunately, there’s a whole cottage industry of AirPod accessories to improve the look—and performance—of your wireless headphones. Here are some of the fun and useful ways to beef up your ‘buds. 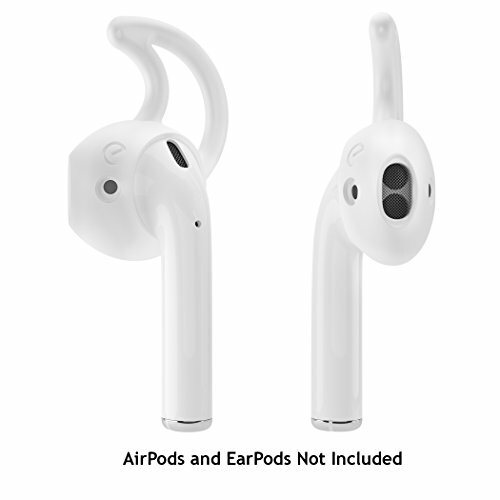 Yeah, the whole point of the AirPods is that they are true wireless headphones, not like the many dozens of Bluetooth earbuds sold over the years with a short cable stretching behind your head. But what if you want that cable sometimes? What if you’re worried that your workout is going to jostle one out of your ear and it’ll drop and be gone forever? While we have never experienced that, a little insurance isn’t expensive. Clip-on straps typically cost around $10 or so. 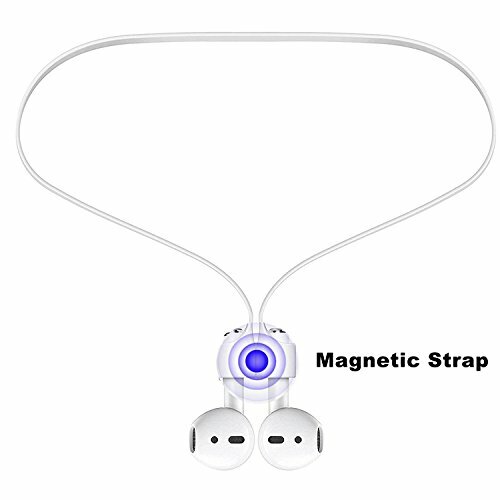 Spigen’s strap is popular, but some of the lesser-known options add little magnets to hold your earbuds together when you’re not wearing them. There are two things you should know before buying a strap for your AirPods. First, the added weight tugging on the end of the stems may cause them to fall out of your ears more easily. AirPods stay in place in part because of their feather-light weight. 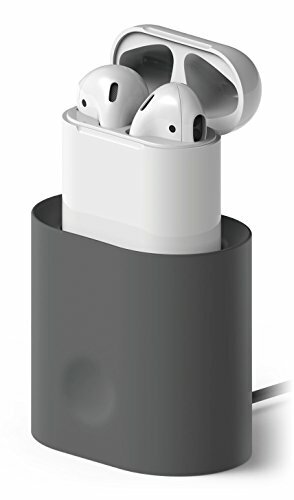 Second, you will of course have to take off the strap when you put your AirPods back in the case to charge them. 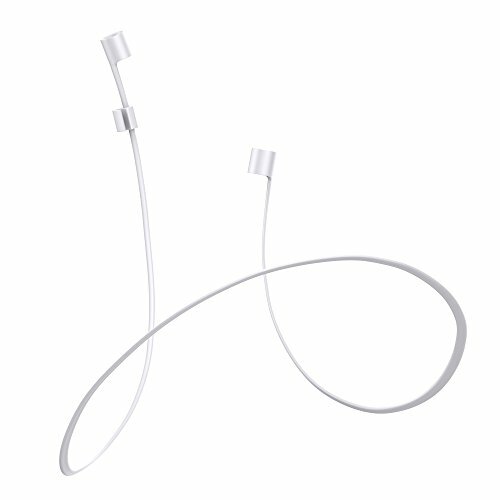 Apple’s earphone design is comfortable enough, but our ears come in many shapes and sizes. And if you bounce around a lot during your workout, it doesn’t hurt to have a little extra something to keep the pods in place. Slip-on silicone tips can serve double duty: They create a soft and snug fit in your ear canal (which often improves sound quality), and the wingtips hold on to the concha in your outer ear, keeping them in place through even the most vigorous activity. These really are some of the most useful AirPod accessories you can buy. 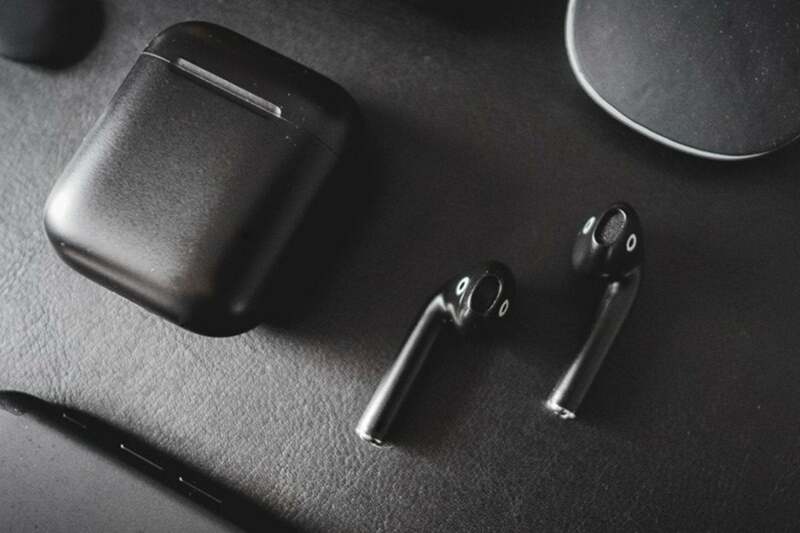 There are lots of brands out there selling slightly different styles, but they all share one thing in common: you’ll have to remove them to put your AirPods back in the charging case. Make sure you buy a brand that has cutouts for the AirPods’ sensors. Silicone tips made for the regular wired EarPods that came with your iPhone will usually fit AirPods, but if they cover the sensors, your AirPods won’t work properly. We’ve spent a lot of time with the latest EarBuddyz (available in white or black), and they’re fantastic. One of the secrets to AirPods’ success is its tiny charging case—about the size of a pack of dental floss. It’s easy to toss into a purse, bag, or pocket and so small, smooth, and rounded you can just forget about it. But together with that “toss it in your bag” design comes “I tossed it in my bag” wear and tear. 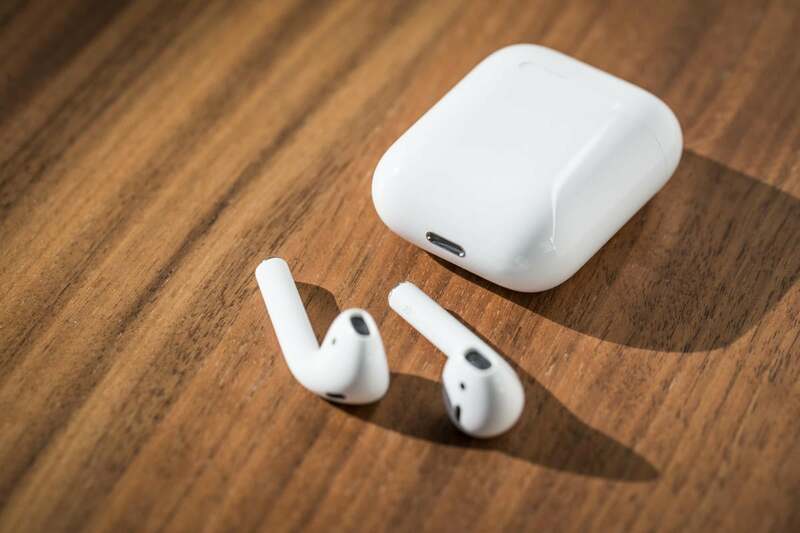 Before long your AirPods case will be covered in scratches, bumps, scrapes, and scuffs. This is solved easily enough with a protective silicone case. A basic silicone case costs about ten bucks. PodSkinz is a popular and well-received model from the same folks to make the excellent EarBuddyz, and they come in a variety of colors. 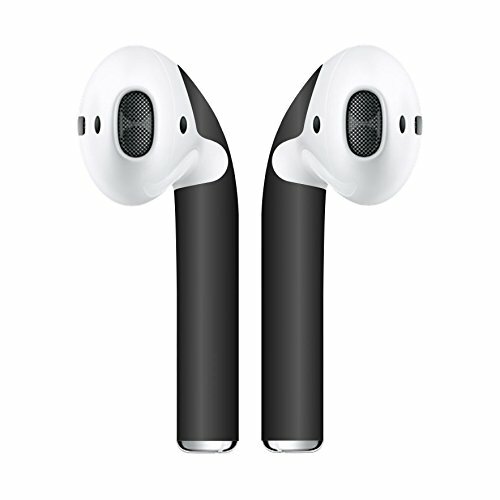 This is a perfect opportunity to add a little extra functionality to your AirPods. Some cases include keychains or carabiners, making them just a little more convenient to stow in your pocket or clip onto a bag. They cost a bit more, but it might be worth it. 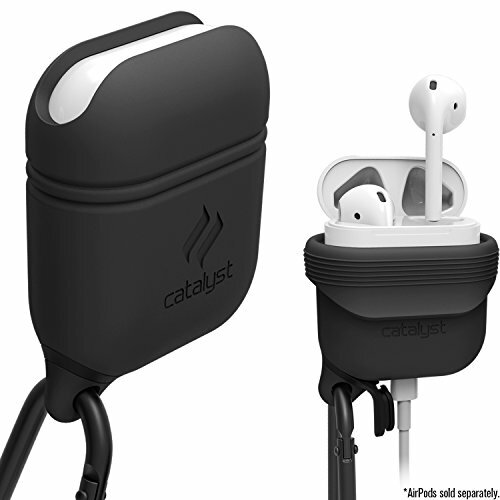 Catalyst is the popular choice in carabiner-case with lots of shock protection, and it comes in a variety of sporty colors, but it’s a little more expensive than most of its competitors. Plain white doesn’t do it for you? For around $15 or so, you can get a vinyl wrap that changes the look of your AirPods. Typically, these skins cover the stem and part of the “pod” part, but leave plenty of the pod uncovered. The idea is to provide a normal, natural, comfortable fit and not to cover up any of the sensors. Make sure the skins you buy don’t cover any of the sensors, and are guaranteed to continue to allow your AirPods to fit inside the case. As long as the vinyl skin is fairly thin, that shouldn’t be a problem. Popular phone skin maker dbrand does not appear to make AirPod skins, but Slickwraps has dozens of colors and styles, all for about $15. Plus, you build a skin with your own images and text for about $25. Skins not permanent enough for you? Not detailed enough? You can permanently change the color of the plastic on your AirPods! The latest solvent-based painting techniques can give you a product that you would swear is actually made out of different plastic. It’s amazing, but it isn’t cheap. 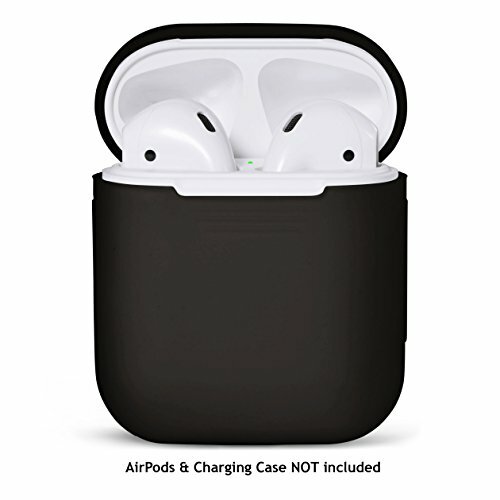 BlackPods will sell you a set of AirPods in matte black or aero space grey for a substantial $299, or gloss black for $279. Already own a set of AirPods? You can ship them in to be customized for $99 (gloss black) or $119 (matte black). BlackPods look fantastic, but are priced to match. Don’t like black? ColorWare is taking preorders for its colored AirPods, but they won’t ship until April 2018. You’ll pay $299 for a pair of AirPods with a standard case, and an extra $40 if you want the case painted, too. But Colorware has the advantage of lots of different colors, regular and metallic, in both gloss and matte finishes. You can even make the case, left ear, and right ear different colors. You probably don’t have to recharge your AirPod charging case very often. But when you do, wouldn’t it be nice to just drop it on a dock instead of fussing with cables? 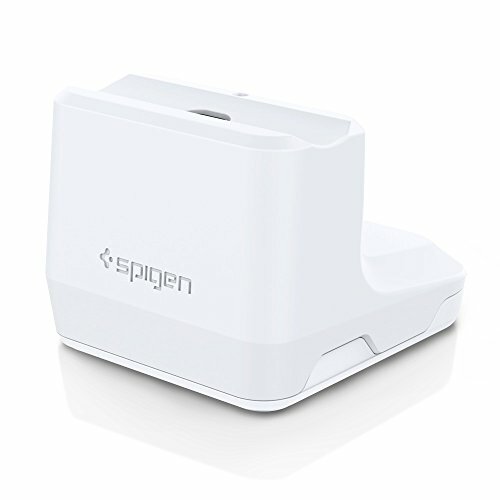 Spigen has a popular and affordable dock that simply cradles your AirPods case. We like the overall design of the Elago stand better, as your AirPods case slides down about halfway into it. Plus, it comes in three colors. 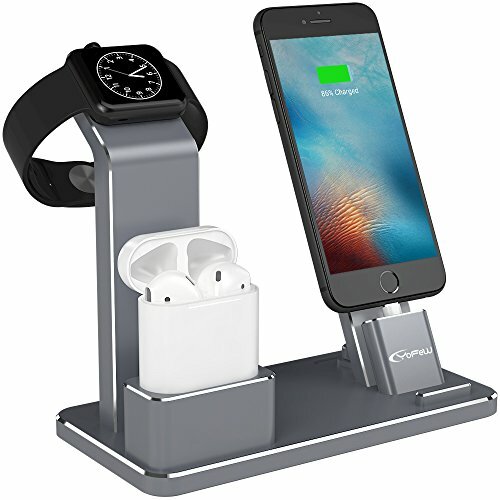 If you want to get really fancy, and you have a lot of Apple stuff that charges in the same place every night, you can always go for a multi-device stand like the one from YoFeW above, which will charge your AirPods, Apple Watch, and iPhone all at once. For each of these, you’ll need to supply your own power adapters and cables, but if you’re like us, you already have a permanent set hanging out on your desk or bedside table.